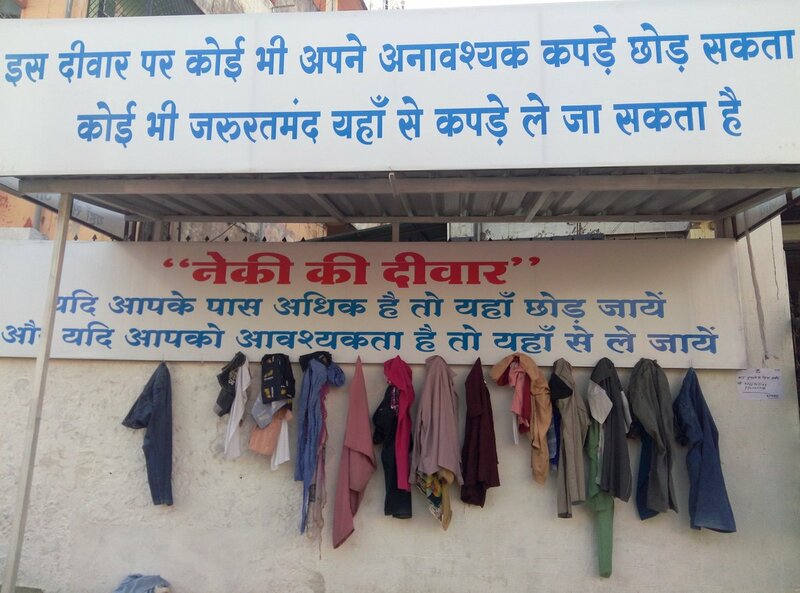 Despite of development in the nation still we see people beggar on the roads, to make India free from poverty , after Hyderabad, Tamil Nadu Tirunelveli Collector Sandeep Nanduri has transformed a wall at the collectorate office compound into a ‘Wall of Kindness’. 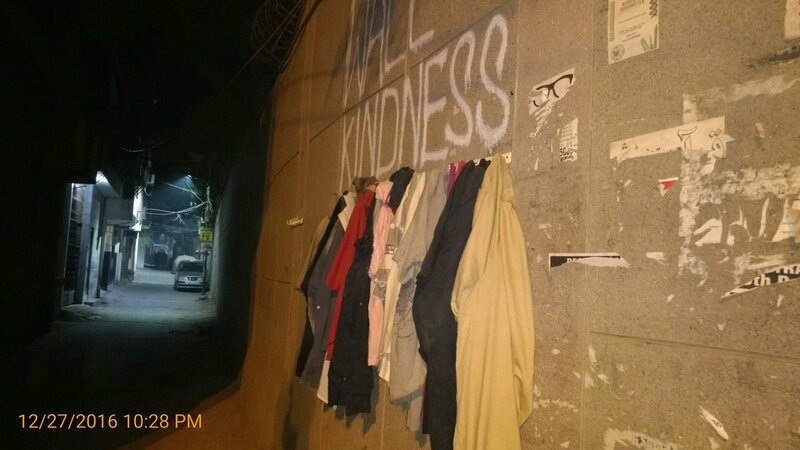 From books to toys to clothes and shoes etc., everyone are welcome to leave any item on the shelves attached to the wall which are painted with a bright colors with a very inspiring message that is “Donate it, if you don’t need it! Take it, if you need!”, for the needy people. The aim of the collector is to help the people who might desperately need it, by simply pointing out the store room where things are getting wasted and accumulating them if not utilized. He also briefed us that why he choose office compound to start this project, “It is a place where lot of people come, petitioners come and poor people come, that is why we thought of starting it here. It will also create an awareness among people. We are looking at the responses and if it is successful we will expand it to other public areas,”. He also added that We make sure that things do not get wet if it rains. We are thinking of tying up with some NGOs. If there are items which are there for a long time, the NGO can take it and give it off to orphanages,”. 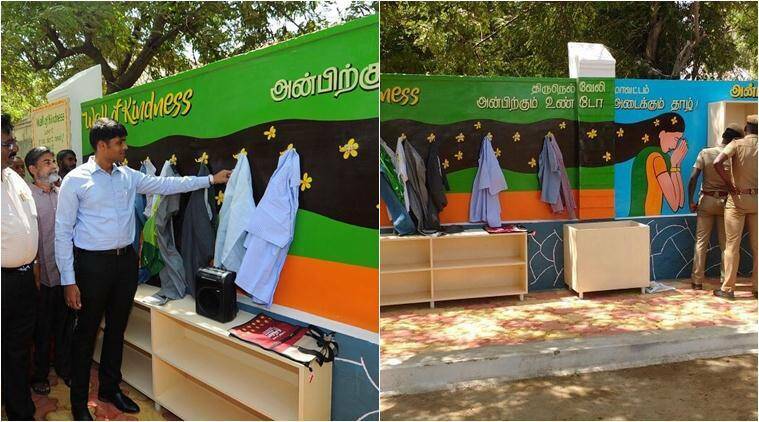 Though this not the first time such wall is bee set up but this the first wall for Tamil Nadu. 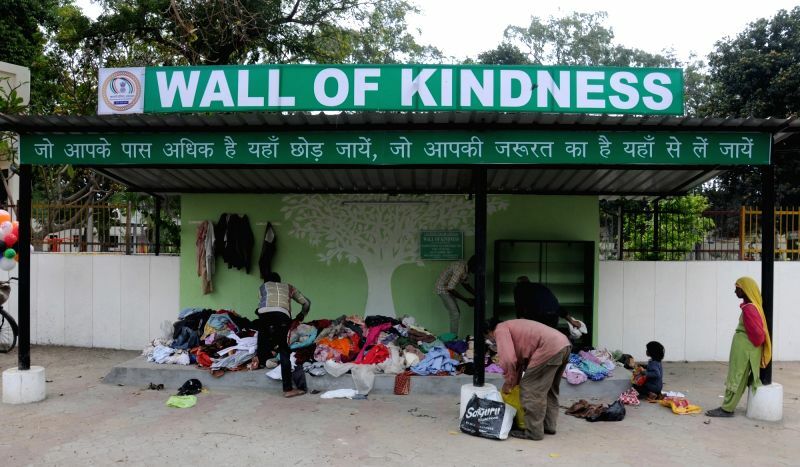 To know more about Wall Of Kindness at Hyderabad read http://www.brilliantbharat.com/brilliant-fact/wall-of-kindness/.